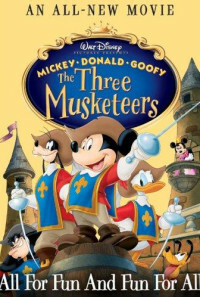 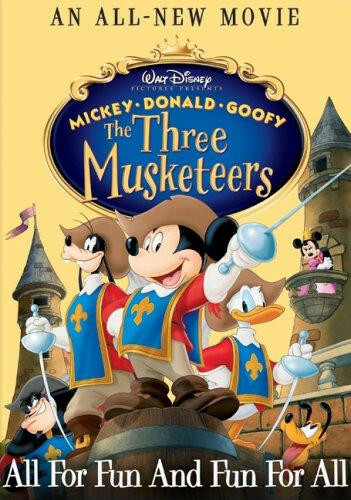 Mickey, Donald and Goofy are the French three Musketeers. 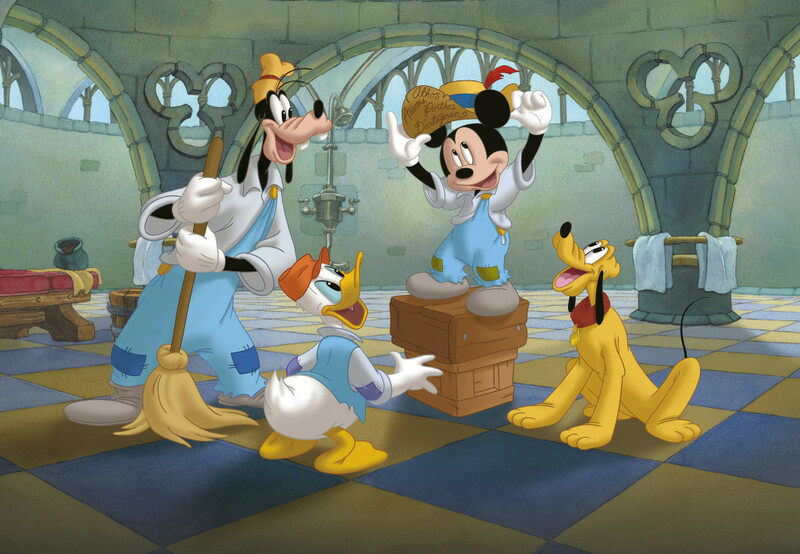 Best buddies Mickey, Donald, and Goofy are small-time janitors with big dreams of becoming Musketeers. 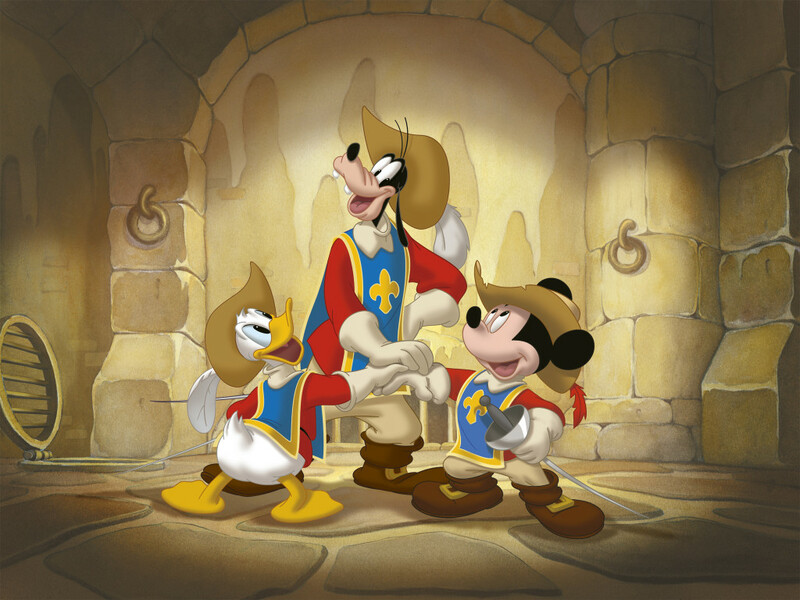 Peg-Leg Pete, captain of the Musketeers, points out why they'll never make it: Donald is a coward, Goofy is a dim-wit, and Mickey is short. 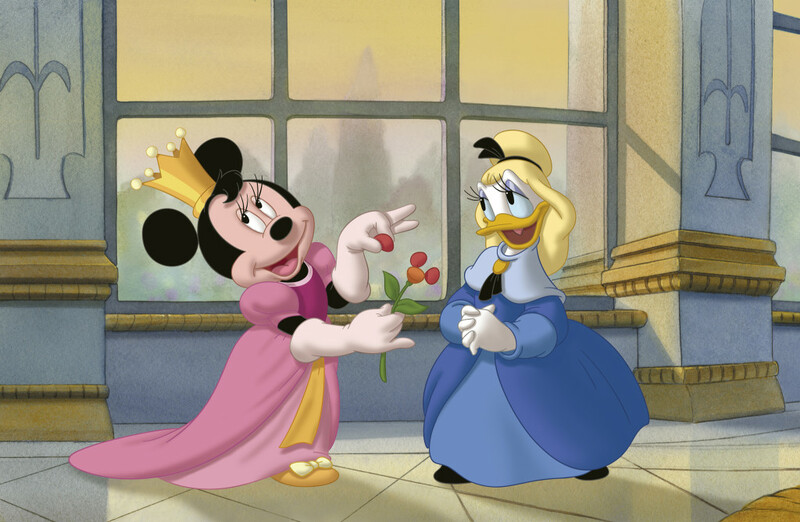 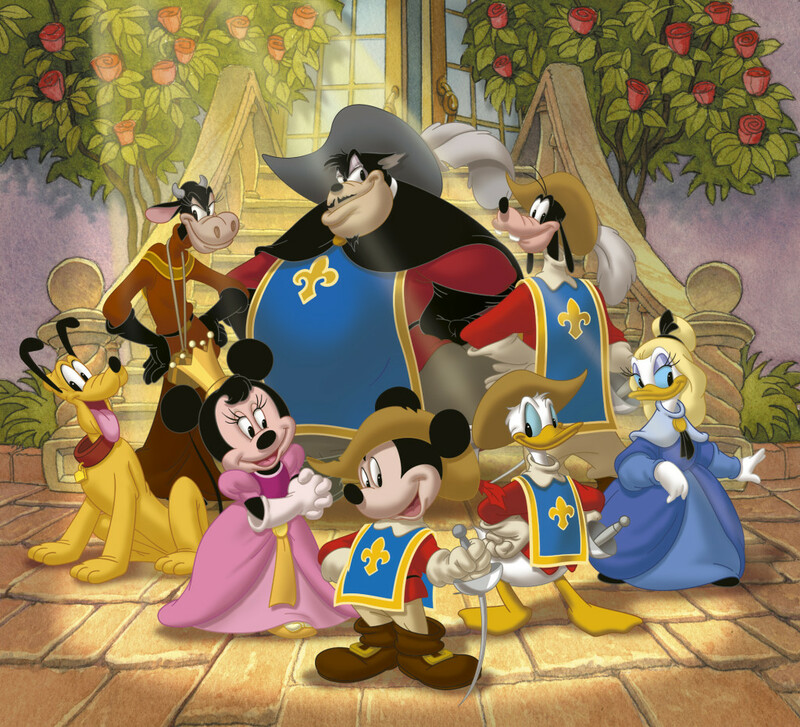 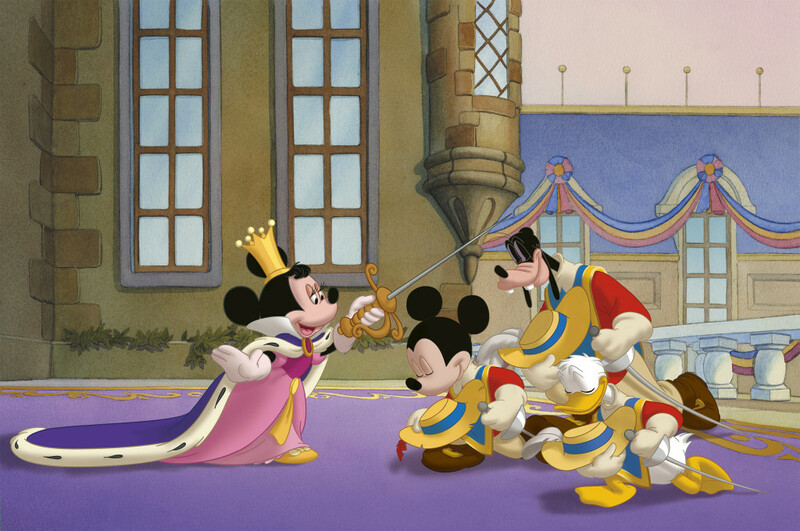 But things change when Princess Minnie demands Musketeer bodyguards when assassins, hired by Pete so he can be king, nearly drop a safe on her. 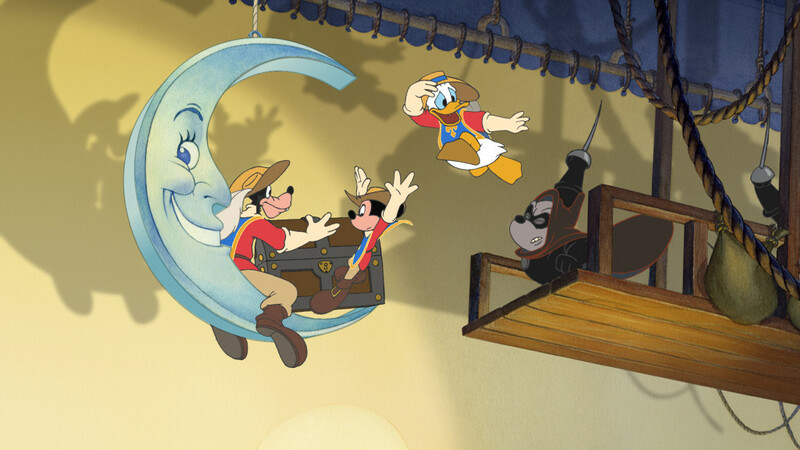 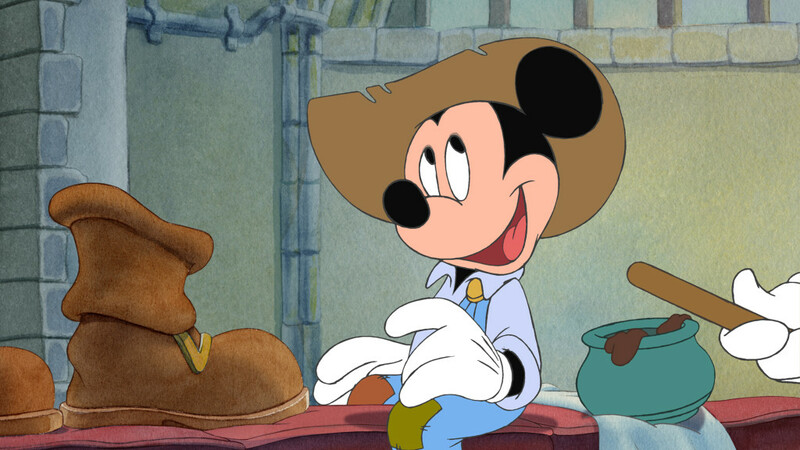 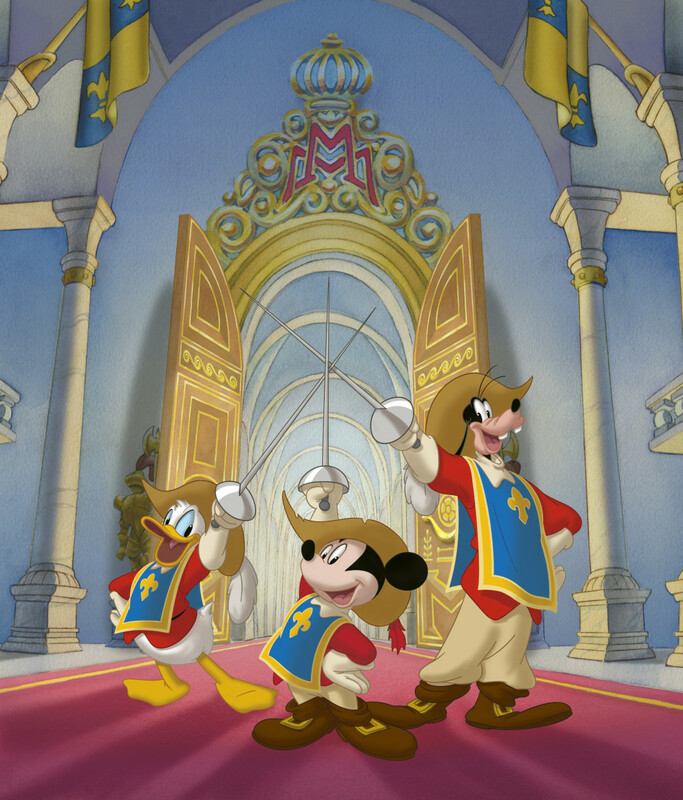 Knowing real Musketeers are too-well trained, Pete hires Mickey, Donald, and Goofy, the clumsy janitors as Musketeers and Minnie's bodyguards.